Remember the experience of looking at photos where images magically transition into another when you move them? That experience from our childhood is now readily available for customization. 360° Selfie by Waveplay Interactive brings us nostalgia by introducing their latest event photo offering –the HOLO FOTO. Holo Foto allows users to have custom hologram-style photos that are fully brandable from the holo effects to the frames. The photo booth behind the lenticular pieces of awesome is the first of its kind in the Philippines. Last September 23, the E! Bloggers Ball was the perfect venue to launch the photo experience. 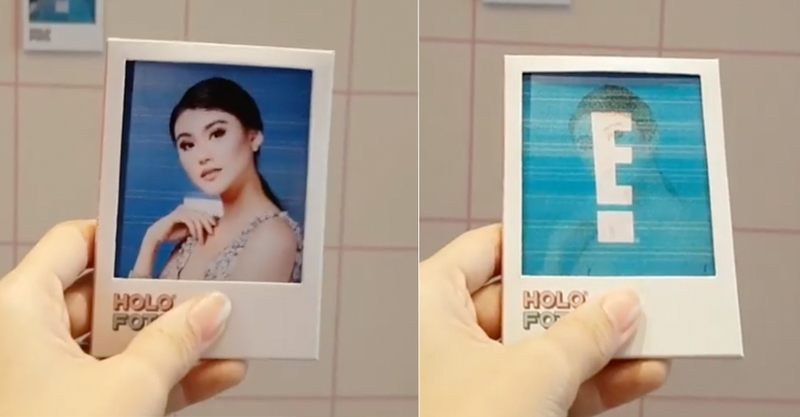 The country’s well-known bloggers and social media influencers got to try out the innovation and take home tangible photo souvenirs in polaroid-like prints. HOLO FOTO received the E! Glam Authority Award at the event. 360° Selfie changed the event game when they introduced 360° Selfie video booth in the Philippines in 2017. This year, the brand took things further by offering the GlamShot video booth. Both options became big hits among celebrities, brands, and lifestyle events.